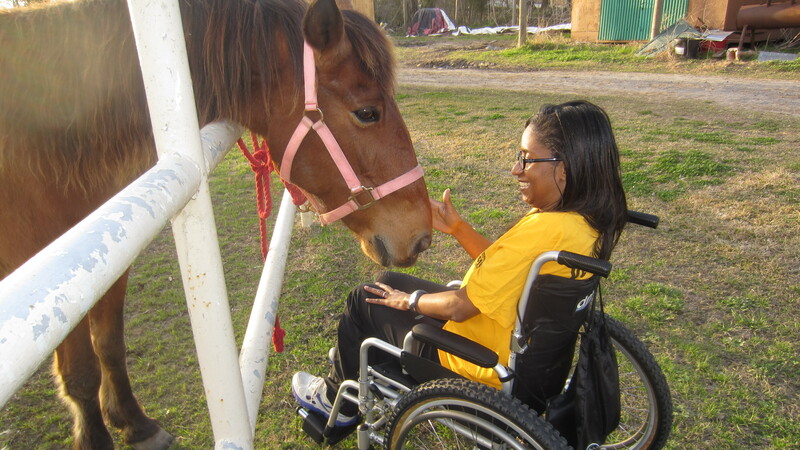 I am back at the farm for another season of therapeutic horseback riding. I ride until August, then we take a couple of months off because of the heat. It cost $25 and I go once a week. I really love it and recommend it to everyone. 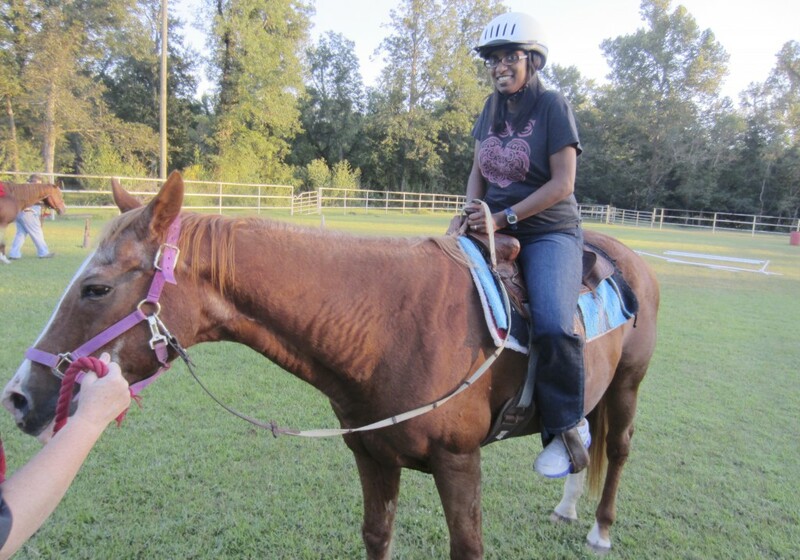 I’m a little scared to get back up on a horse…my balance isn’t great…depth perception is messed up because of my left eye. 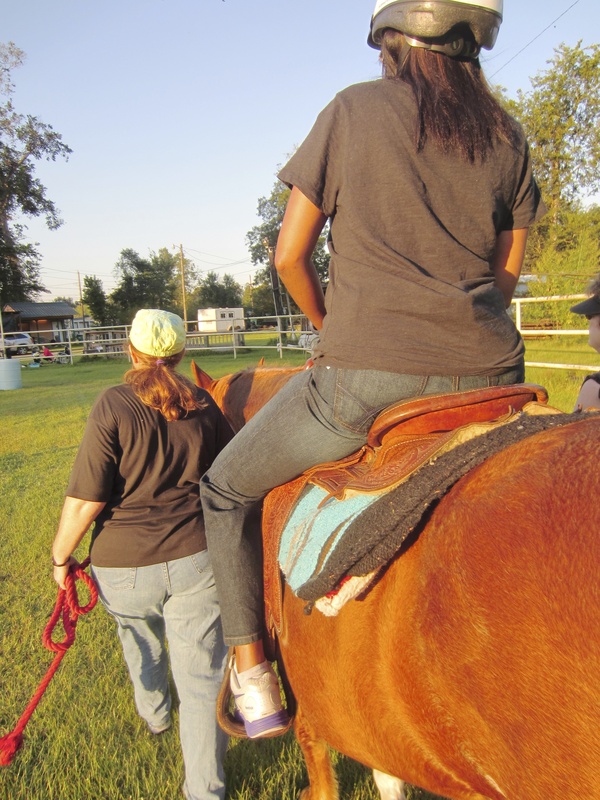 Our kids in AK want to take us riding in August…the heat there, lol, isn’t an issue…but they are semi-experienced riders & my hubby was raised a farm-boy…I, on the other hand, haven’t been up on a horse since, ahhh, 1986. Any tips on staying on the saddle?? Stacy, I always ride with my cooling vest. I am glad you enjoy riding. Good for you. Laurie, the circle does get a bit boring!But I don’t have a lot of choice. Laurie, the circle does get a bit boring! Giddy up ! I rode wild horses as a kid and would be thrown often but this calm horse seems to like you . I am glad that you are enjoying the outdoors and hope there are some entertaining folks there. Vivian, Wild Horses! What? I love them,but not that much! I am so glad that you are able to find time to ride. It looks like a lot of fun and I know it is a good work out too. Siox,I can always count on you bright and early! You amaze me! This is so wonderful. I am terribly envious. I absolutely love horses. I feel SO GOOD around them, they just have the most incredible energy about them. 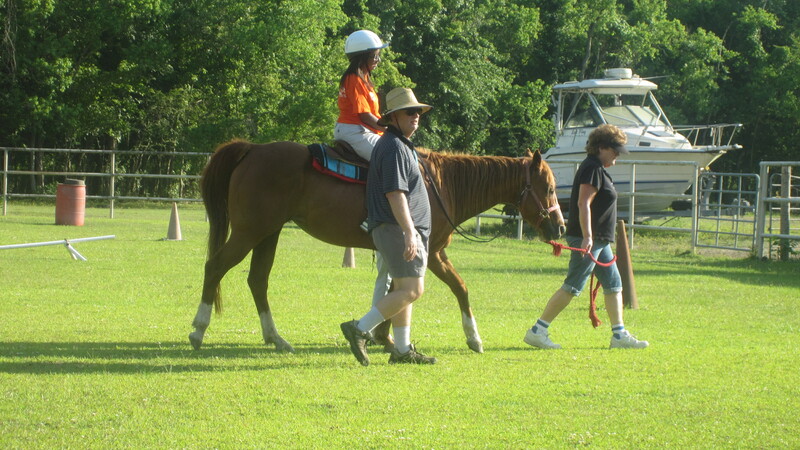 My kids worked and took riding lessons at the therapeutic horsemanship place for a few years. I tried riding there but I didn’t care for riding around in a circle. I was bored almost to tears. It was a 90-mile round trip drive so after a while I just couldn’t go out there any more. 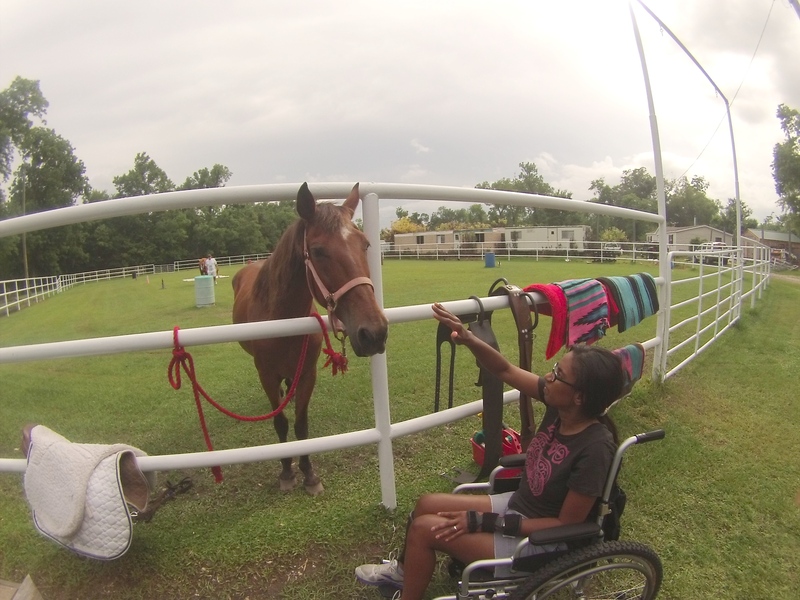 Then I share boarded a horse for my kids, and we took care of another horse. That was a 50-mile round trip, almost daily. At least I got my “horse fix” often. 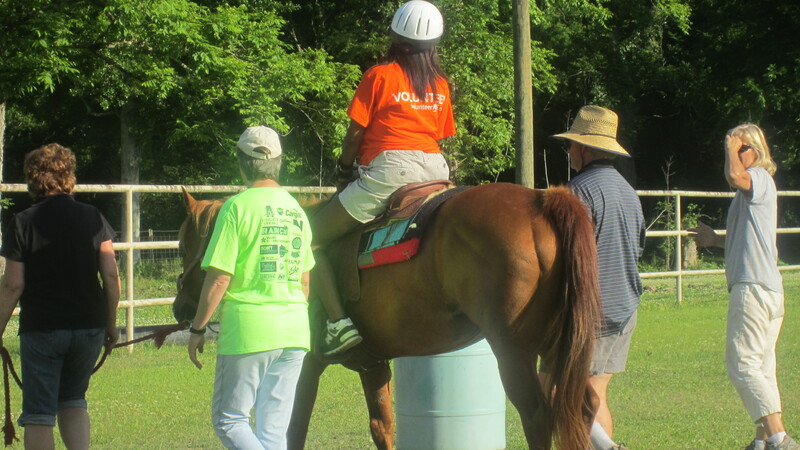 Then my daughter started playing polo. A 70-mile round trip at least twice a week. I won’t even tell you what it cost to rent a polo pony! But my daughter has moved away and I have no means or opportunity to be around horses. Looking at your photos warms my heart.